Reliable Pipes & Tubes Ltd. is PED approved manufacturer & Govt. of India recognized Export House, established in 1975. We are supplier of Pipes, Tubes, Pipe Connection, Tubular & Oil – gas piping materials for CBM field, Oil & Gas field, exploration drilling sector companies. Our specialist team has many years of experience of the unique technical and logistical demands of supplying this range of tubulars. In addition, we work with specialist third party inspectors and freight forwarders to ensure that our customers receive tubulars of the very highest quality. 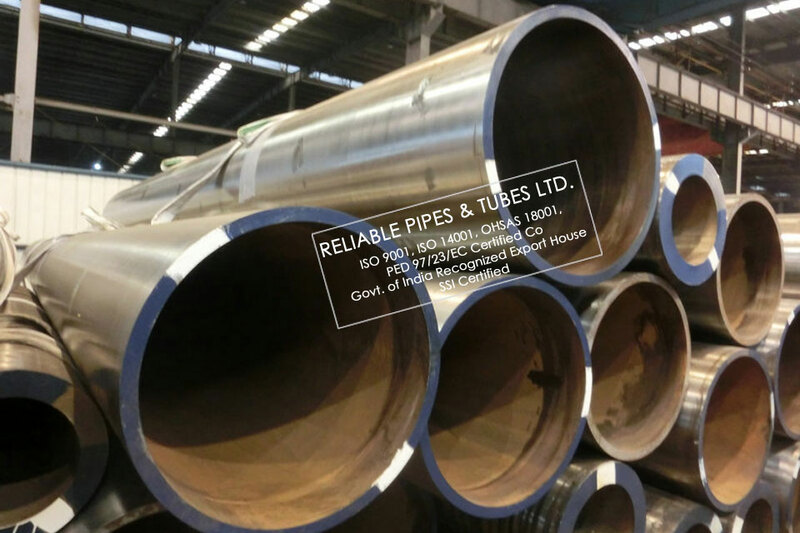 All our line pipe products are manufactured to meet international standards such as DNV OS F101, ISO 3183, API 5L, EN 10208 and ASTM, as well as customers’ specific requirements in standard and proprietary C-Mn and 13Cr weldable steel grades. We are approved vendor & supplier of API Line Pipes, API 5L Grade B Pipes, API 5L Grade B carbon steel seamless pipes, X42 Pipe , X46 Pipe , X52 Pipe, X56 Pipe, X60 Pipe , X65 Pipe , X70 Pipe , X80 Pipe , L360 Pipe, EFW Pipes, ERW Pipes, HSAW Pipes, IBR Pipes, LSAW Pipes, SAW Pipes, Seamless Pipes, Welded Pipes and API 5CT in GASCO, KNPC, SAUDI ARAMCO, SABIC, ORPIC, NIORDC, PIDMCO etc, Reliable Pipes & Tubes Ltd. is also authorized Dealer & Distributor of top manufacturers & one of the largest exporter from INDIA of complete range of Seamless and Welded API 5L Line Pipes, API 5L Grade B, X42, X46, X52, X56, X60, X65, X70 Pipes for Oil & Gas Industry, Petrochemical Companies, Oil Refineries, Rigs, Onshore & offshore Projects. We are having our sales & support resident engineers in Bahrain, UAE, Qatar, Saudi Arabia, Oman, Iran, Iraq, Indonesia, Malaysia, Singapore, South Korea, Vietnam, Australia, Ecuador, Colombia, Brazil, USA, Mexico, Germany, Netherlands, Spain, France with adequate stock of Black Pipe, API Line Pipe, PSL1 Pipe, PSL 2 Pipe with Complete Piping Solutions. Our Piping Materials for Oil & Gas Industry comes with mill certificate & all required documents. X42 PSL2 Boiler Tubes/ boiler tubing, the oil and gas industries and automotive transmission components are typical applications. Welded pipes/ tubes are made from hot rolled or cold reduced strip, sheet or plate. Welded tube includes hollow sections, black and galvanised gas/water pipe, scaffolding tube and large diameter pipe. Small and medium diameters are produced in continuous, multiple-roll mills that progressively bend incoming, unheated strip into a circular cross-section prior to welding along the longitudinal seam. Tube may subsequently be cold-drawn through dies to achieve precise dimensions and finish. Large diameters (400-1,600mm) are made from discrete plate which is welded in an “O” shape before being mechanically or hydraulically expanded. X42 PSL2 Spiral welded tube/ Pipes is available in diameters up to 2,500mm. X42 PSL2 Welded tubes are used in a wide range of general engineering applications as well as in power generation plants, oil refineries, automotive manufacturing and furniture production. Please call our office for most current prices. We are approved vendor & supplier of API 5L Line Pipe in GASCO, KNPC, SAUDI ARAMCO, SABIC, ORPIC, NIORDC, PIDMCO etc. We are having our sub dealers of above brands with adequate stock of API 5L line pipe, Tube & Tubular in UAE, Kuwait, Saudi Arabia, Australia, Indonesia, Malaysia, Bahrain, Singapore, Thailand, UK, Canada, Brazil, Venezuela, Kazakhstan, Sudan, South Africa, Mozambique, Nigeria, Kenya, Tanzania for quick delivery of API Line Pipe, Carbon Steel Seamless Pipe & Tubular with mill certificate & all required documents. Reliable Pipes & Tubes Ltd. is Specialize in supply of API 5L X42 PSL2 pipe or linepipe supplies that your company needs for use in the oil or gas industries. 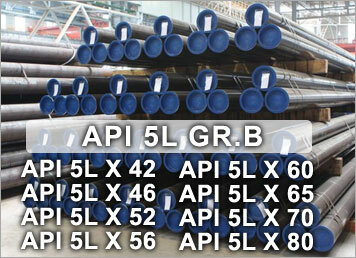 API 5L Line Pipe Specifications for these pipes regulate usage for standard Grade A and Grade B pipes, with Grade X indicating stronger variants for drilling, production and transport requirements for offshore, arctic, deep well or harsher environments. Reliable Pipes & Tubes Ltd. provides a wide range of OCTG pipes, tubing and accessories for a variety of difficult drilling and production environments, we also provide a wide range of accessories including flanges, flange protectors, cut-to-length pipe, fittings, valves, Branch connections for your complete piping requirements, we stock heavy wall or heavy yield linepipe for oil and natural gas pipelines in (PSL-1, PSL-2 and PSL-3) grade classifications. Our Specialization comes after supplying API X42 PSL2 Line Pipe to 300+ companies from Oil & Gas Industry, Petrochemical, off Shore & on Shore Projects, Rigs, Chemical & Fertilizer companies in more than 40 countries since 1975.